A new electric truck startup has come out of the shadows and claimed that they can beat the Tesla Semi to market. Thor Trucks’ ET-One is a retrofitted “Frankenstein” that’s built from parts of other semi-trucks, and runs on a battery. With a range of 300 miles and a load capacity of 80,000 pounds, this electric truck may give Tesla a run for its money. Thor Trucks believes it stands apart in the currently narrow market by converting fossil fuel-burning trucks into battery- electric ones with its unique technology and in-house manufacturing. Never heard of Thor? Not surprising. 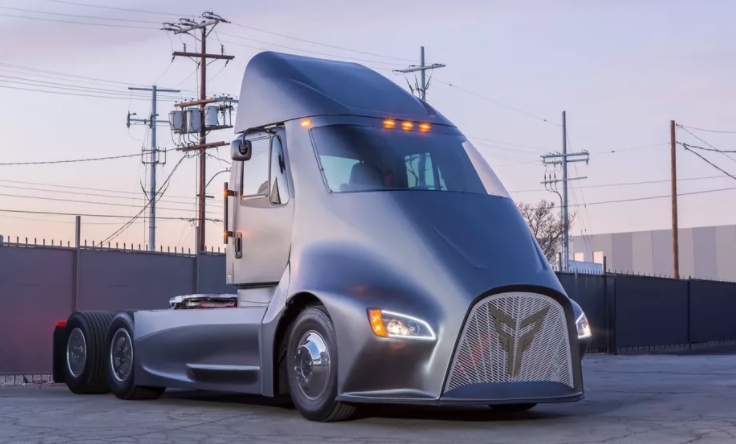 Thor is tiny compared to its multi-billion dollar competitor, Tesla, but they are using this to their advantage; working out of an LA-are warehouse to make a reasonably affordable truck that serves the same purpose. Having the technology to convert an existing semi-truck which burns diesel into a fully electric truck which runs on batteries is a major consideration that sets Thor apart. This may be a major buying factor for some companies who don’t want to purchase an entire new fleet of trucks when they could simply have their own trucks converted into greener, electric ones. Only time will tell if Thor can compete in Tesla’s game, but it’s competition like this which drives innovation and leads way to new technologies. The 4th Industrial Revolution is Quickly Approaching!